For some, it’s climbing Mount Everest, pushing their bodies and equipment beyond the limit of physical endurance. For others, it’s experiencing the thrill of luxurious living, swimming in a sea of caviar and roses, with servants to handle every need. My life’s dream, however, was far simpler: I’ve wanted to own a Jeep. There’s something about the vehicle that helped win a war, that conquered the Rubicon (and continues to do so with great regularity), that has captured the imagination of generations across the globe. Whatever they’re called — CJ or Wrangler, in YJ, TJ, LJ or JK flavors — the short-wheelbase Jeeps embody a uniquely American spirit. They defy modernity in their aerodynamics and mechanical makeup (admittedly less so the current JK Wrangler). Point them in a direction, and watch them go, dismissing obstacles that would send lesser vehicles to the scrap pile. Oh, and do it all in an open-air environment that makes driver and passenger feel more connected to his surroundings. The as-yet-unnamed Smokey sits March 23, 2013, at the dealer’s lot as we complete the paperwork finalizing our purchase. On Saturday, March 23, 2013, my lifelong desire became reality as we traded my wife’s dying 1998 Buick LeSabre on a barely used 2009 Jeep Wrangler JK. The event capped a dream that began when, at age 4, my parents gave me a large, bright yellow die-cast Jeep CJ-5 with Smokey the Bear as its driver. It quickly became my favorite toy. But would the reality of owning, driving and maintaining a near-4,000-pound gas hog live up to decades of dreaming? Could a black JK replace the weathered yellow CJ as king of the toy box? Jeep began amid the drumbeat of World War II, as the United States military sought from 135 companies a reconnaissance vehicle to be delivered in a seemingly impossible 49 days. Choosing expediency over capitalistic fairness, the military awarded Ford and Willys-Overland contracts to build the vehicle — using Bantam’s design plans as their model. America’s newest recruit quickly made a name for itself (literally — the term “Jeep” often is suggested to find its roots in GIs’ penchant for nicknaming their Willys MBs after Popeye’s go-anywhere sidekick, Eugene the Jeep), seeing service in every branch of the military as field ambulances, firefighters, makeshift tractors, amphibious assault vehicles — even rail cars. After the war, returning GIs clamored to own one of the new Civilian Jeeps. 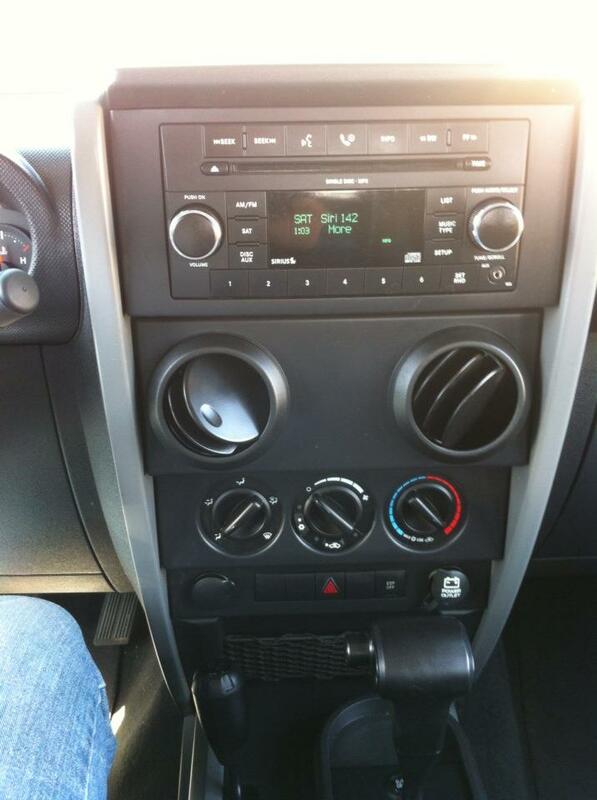 In X trim, the Jeep Wrangler offers an array of comfort and convenience options. While Jeeps always have been known for their utilitarianism, the current JK Wranglers feature every creature comfort imaginable — even power windows and heated seats in some models. (Yes, Mom, it has air conditioning.) Some Jeep purists see adding such gadgetry, softening the traditional bone-jarring ride and (heaven forbid) stretching the frame to make room for the Wrangler Unlimited’s two extra doors as sacriledge. Whatever your view, my ’09 Wrangler, in base “X” trim left Jeep’s Toledo, Ohio, factory with a 202-horsepower 3.8-liter V-6 engine that is every bit as underpowered as Jeep enthusiasts claim (more on that later), a four-speed automatic transmission and a 3.73 rear axle ratio. The optional S equipment package adds larger 32-inch tires on silver-painted aluminum wheels, fog lights, cruise control and a driver’s seat-height adjuster. My particular JK eschews the popular full-size doors and hard top for half-height doors and a traditional ragtop. I couldn’t imagine owning a Jeep in any other configuration. In 2012, Jeep replaced the Dodge/Chrysler minivan-sourced 3.8-liter powerplant for its 3.6 Pentastar V-6, and I can see why. While the 3.8-liter powerplant’s 202 horsepower is barely adequate for city driving, it is severely outmatched for the JK’s more-than-3,800 pounds. This engine literally has no passing gear. Great, albeit expensive, fun can be had by stepping on the throttle at highway speeds — so long as there’s no tractor-trailer approaching from behind. The vehicle’s six angry squirrels rev up, sending the tachometer higher and higher, while the miles-per-gallon reading drops a tenth or two per second — but there’s no corresponding increase in speed. The Pentastar ups horsepower to 285 and 265 lb-ft of torque and, by most accounts, solves the JK’s power woes. The ride quality exceeds expectations for a vehicle with two solid axles, surely a tribute to Jeep engineers, but certainly doesn’t approach that of the typical soccer-mom mover. 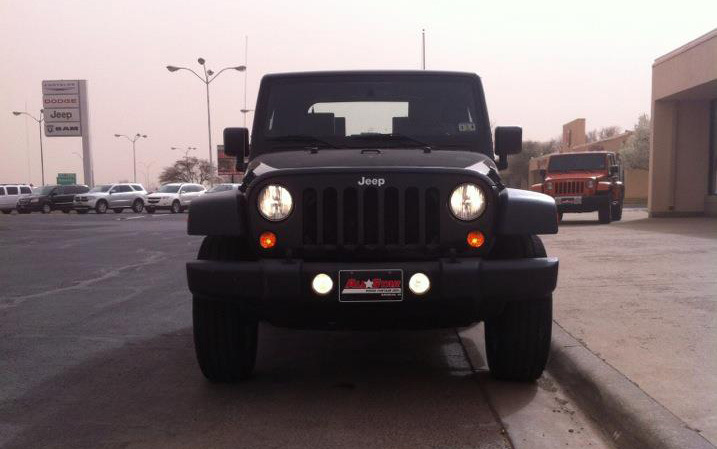 The JK responds to bumps, potholes and highway joints with a firm jolt, but never threatens driver control. For a vehicle with a higher center of gravity than the typical sedan, the JK feels remarkably controlled in tight turns. Braking is average, which is to say as poor as one would expect from such a heavy vehicle. Thankfully, larger rotors are available from the aftermarket, and such improvements are a must before the vehicle is lifted. My first time off-road with Smokey. Even in stock form, the Jeep’s capability is impressive. No one buys a Jeep JK expecting sports car performance, though. 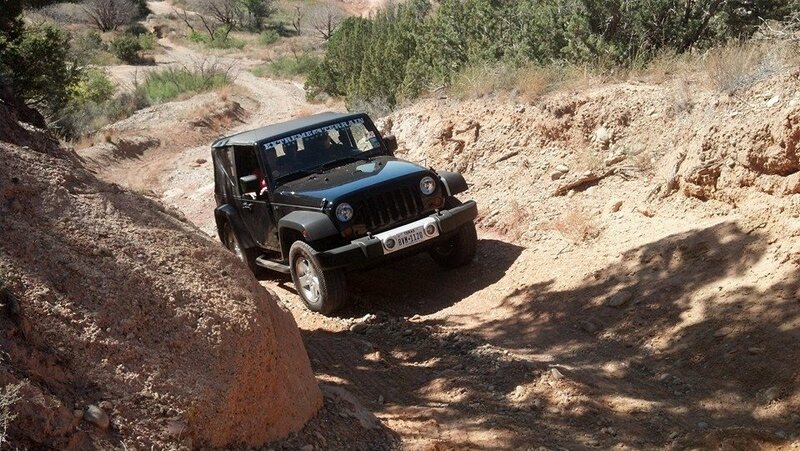 The Jeep’s natural element begins where the asphalt ends. 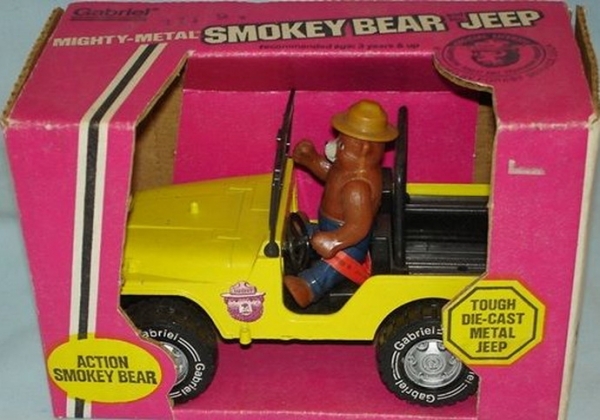 Even in stock or near-stock form, Smokey’s capability has continually astounded me. Moreover, I’ve never considered myself to be a convertible person, but the Jeep’s top-down experience certainly converted me. Nothing melts the stress and frustrations of the daily grind away like dropping the six-piece top and hitting the road or trail. When rain is a possibility or there simply isn’t time to remove the entire top, Jeep’s Sunrider feature offers a perfect compromise. Flip a couple of latches, and the top over the front seats folds back, offering sunroof-style driving. Stepping up into the Jeep is every bit as breathtaking today as the day I brought it home. Like most Jeep enthusiasts, my plans for the JK’s future include a lift, aftermarket bumpers, a winch — and lots of adventure. That’s what a Jeep is, really. Whether a soldier on the battlefield, a father and son heading to that hard-to-reach fishing hole or a small family climbing the red rocks of Moab, Utah, the Jeep Wrangler JK, like its predecessors, is about putting memorable experiences within reach — one trail at a time. 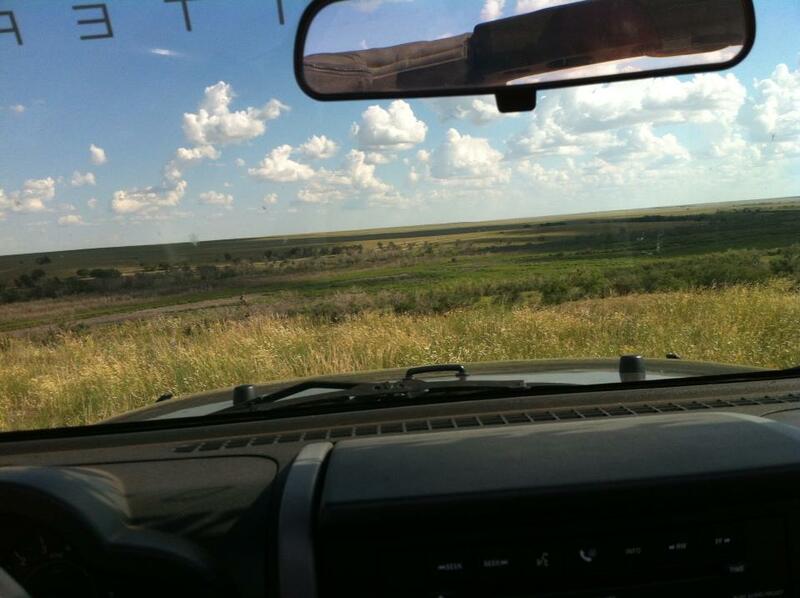 Jeeps are about finding adventure, one trail at a time. The heritage is unrivaled!! The fact that Jeep helped in our WWII efforts can’t be understated in regards to its place in history. Awesome blog you got here, man!